The sales keep coming! 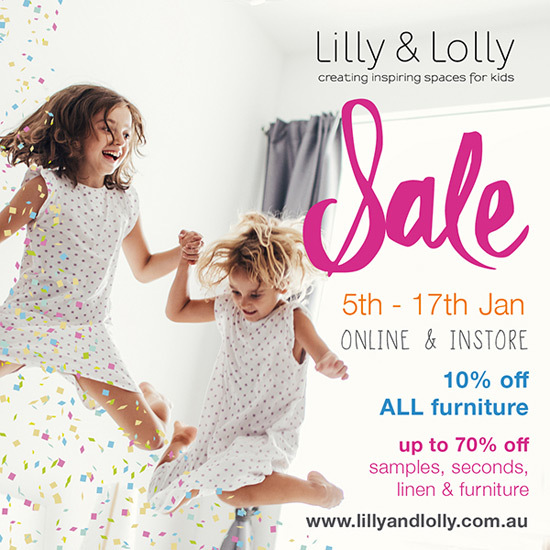 This time, furniture and children's interiors store Lilly & Lolly has up to 70% off a huge range of products online and instore from 4th to 16th January 2016. Head to the Lilly & Lolly online store or Melbourne and Sydney stores to snap up a bargain. Happy shopping!